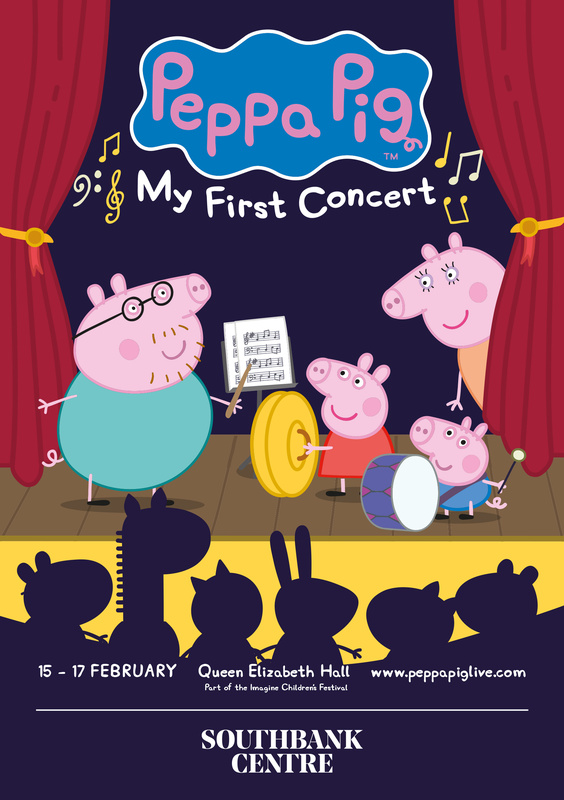 Peppa Pig, along with Mummy Pig, Daddy Pig and George, visit the Queen Elizabeth Hall for Peppa Pig: My First Concert, a fun, interactive introduction to a live orchestra for ages 18 months and older. Peppa and George learn all about the different sounds that instruments make together, and enjoy some of their favourite music from the show played by an orchestra as well as discovering some other exciting orchestral pieces, perfect for children. Little piggies can join in with Peppa and her family, and make music of their own!